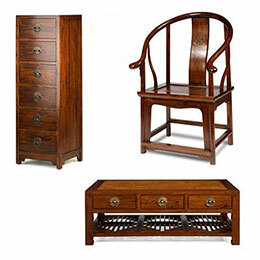 Here we feature an exciting and eclectic collection of traditional Oriental Furniture and antique Chinese cabinets. 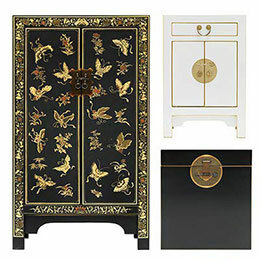 Each piece is hand crafted to the highest standards by craftsmen using ancient techniques and then hand-finished with high quality lacquer. 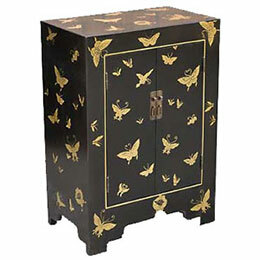 Beautifully designed and made our traditional black lacquer furniture collections represent a harmony of practicality and style, a new concept on an old theme, 'balance and symmetry' which respects the past whilst embracing the present. No matter whether you want to decorate a corner or a whole room in your residence in an Oriental style, Asia Dragon is your resource for ideas. 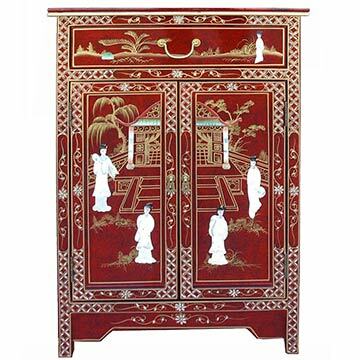 We feature a wide selection of reproduction Chinese furniture classics, including white, red & black lacquer, solid hardwood and rosewood furniture. Buy online - UK stock - Quick Delivery. In ancient China, before around 1000BC, the use of straw floor mats was widespread on which people used to sit and sleep. Around the time of 400BC raised platforms with mats placed on top were used for seating and sleeping, in essence these were the first examples - The first beds and couches in China had been developed. 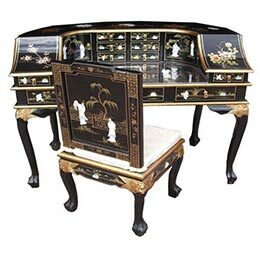 It is believed that the development of Chinese cabinet making happened independently from that of the West. 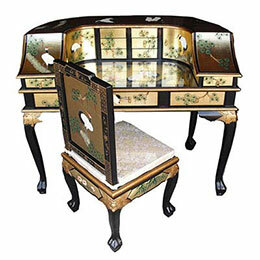 Development of the styles we see nowadays evolved from three different base designs - The frame with panel, the yoke and rack along with other bamboo construction techniques. By the time of the Ming and Qing dynasties many differing designs had emerged. 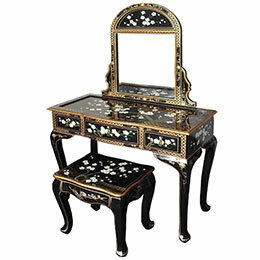 During the Ming dynasty, smooth curves, flowing lines with ornate elegant designs became the motifs of the time. During the Qing dynasty, design and technology had evolved somewhat, having an even richer ornamentation along with a more coordinated engraved detailing. Even these days most of the designs are still heavily influenced by the previous Ming and Qing dynasties. 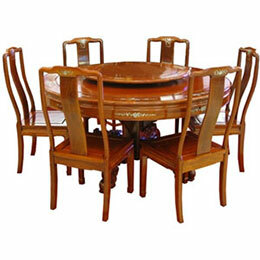 Since the invention of furniture, wood has been the predominant material used in it's construction. Unsurprisingly for such a huge country China has vast forest resources, both natural and managed. 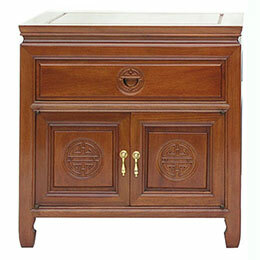 The predominant woods and finishes used are a variety of hardwoods which have waxed, satin or lacquered finishes. 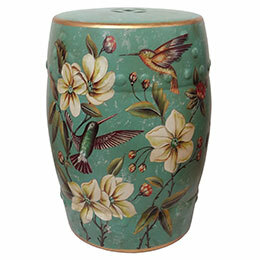 Bamboo and rattan are also widely used, especially in the manufacture of outdoor furniture, trunks and screens. For the highest quality furniture the most frequently used timbers are huganhuali mu (yellow pear wood), jichi mu (phoenix tail or chicken wing wood) and zitan mu (purple coloured sandlewood). 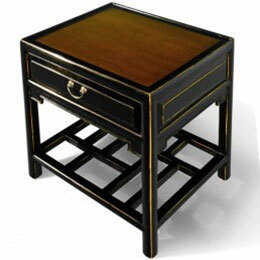 Huanghuali mu was first used during both the Ming and Qing dynasties and also happens to be one of the world's most precious and sought after hardwoods. The tree can grow up to 36 meters in height and is found in Thailand, Myanmar and Vietnam. 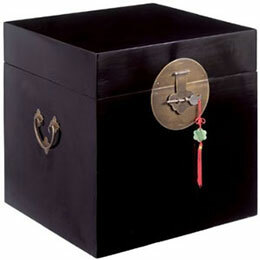 In ancient China, huanghuali mu and zitan were considered precious with a price similar to gold. Jichi mu is another variety hardwood which is grown in India, Myanmar, Thailand and Vietnam. This timber is even rarer still with it's name being derived because of it's feathered, bird like patterned grain. Zitan mu is a very hard type of rosewood, being so dense that it actually sinks in water! It is difficult to grow and can be found in Africa, India, Vietnam and Myanmar. It has a yellow colour, but can change to dark red with exposure to air and it provides a fragrant smell. Even more sadly and up until much more recently, China during the Communist revolution, the government and communal chaos caused even more damage. Furniture of all kinds with any value was deemed to be un-acceptable and usually just chopped up for much needed firewood. 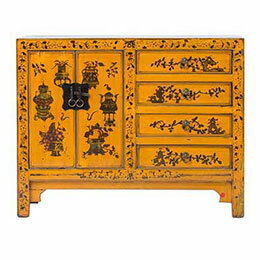 The end result, just a limited collection of ancient Chinese furniture can be found in museums like the Victoria & Albert Museum in London and the Palace Museum in Beijing. Most of these pieces escaped along with expatriates leaving China during those dark days. 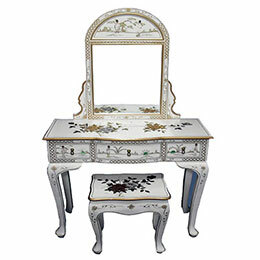 Nowadays, with global interest, attention and appreciation, traditional antique and ancient furniture from China is gaining a truly international reputation. Delivery - For information on our delivery service please go to our information page. All deliveries are undartaken by a specialist courier to ensure efficient, convenient and safe delivery. Timbers - We use a variety of the best quality timbers in the construction of our furniture collections. 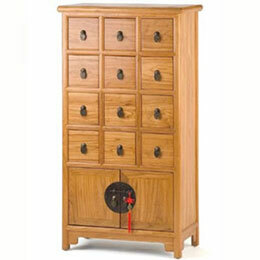 Each timber is carefully selected from sustainable and managed sources in China. All timbers are solid and we manufacture using elm, lindemwood, rosewood and walnut. Wood care - Wood is a natural material and reacts to the environment it is in, do not place in direct sunlight or positions exposed to extremes of heat or humidity. Please do not use general household cleaning products. To care for your furniture we recommend using a clear wax furniture polish. Spills should be wiped away immediately, scratches can be covered using a coloured wax polish. Caring properly will ensure lasting pleasure for many years to come. Guarantee - Our guarantee to you is 1 year and in the unlikely event you have problems we will replace your purchase. 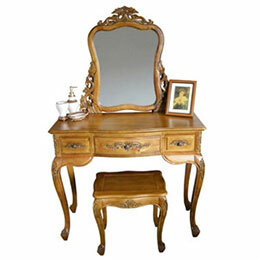 If you take care of your furniture it should eventually become a cherished antique!